UTMX 2017 has come and gone. Since then, I’ve indulged in brownies every day at work. Bought a giant box of Fruit Loops at Costco today on a whim. Lingering gummy bears/worms that formed the core of my late race nutrition “strategy” have been scraped from the pockets of my Nathan hydration vest. I haven’t run a step since 23:15 on Saturday night and I have no plans to do so on the near horizon. I do find myself looking for a summer adventure. This looks pretty nuts. The fact that I’m searching for a race proves (again) that memory is a poor servant. Memory simply refuses to properly remember pain. It’s inadequate. Sure, I can recall in the abstract that at kilometer 60 I was a little afraid to continue down into the canyon (Barranca de Metztitlan). The sun had baked and hobbled me and I simultaneously wanted to but couldn’t vomit. Needed to eat more but couldn’t. I can remember those ideas floating through my head, I can now recall those concepts roughly expressed as words on this blog, but I can’t come close to recapturing that vomity/mixed with heat exhaustion feeling wrapped up in that stubborn question that always makes its appearance in the latter half of any long race: “why, why, why am I doing this again”? Some fellow runners joined me this year. Wendy, Scott and Sue all decided to give UTMX a go. Scott and Sue flew in from the US. Wendy and Scott are seasoned 100 milers. Sue is a recent convert and probably the only other professional bassoonist who is also an ultrarunner. Wendy is the other one. That’s right: both of the world’s professional Bassoonists who are also ultrarunners were at UTMX this year. And then there was Scotty and I, and 496 other runners ready to test ourselves against a 100k loop in Hidalgo, Mexico. Last year 193 out of 500 finished. You think that last stat might have been a clue for the ole’ memory chip? In all that reminiscing I somehow forgot about how relentlessly technical many of the trails are, and I certainly didn’t remember wet feet for 18 hours. I think I told them there were 3 river crossings. Turns out there’s like 30 between kilometer 4 and 45. And then there are three more waist deep river crossings. And then there is ankle deep trudge around the presa in the final kilometers. I also had somehow nurtured the idea --despite running the 100k in 2014, 2015 and 2016-- that is was a “fair” race, but not a ridiculously hard race. Two years in a row it’s taken me more than 18 hours to finish. And I haven’t had bad races here. Yeah, there were very low lows, but many highs as well and long periods of good energy. And it still took me 18+ hours. On two pretty solid race days. Maybe I should write that down here so I don’t forget. 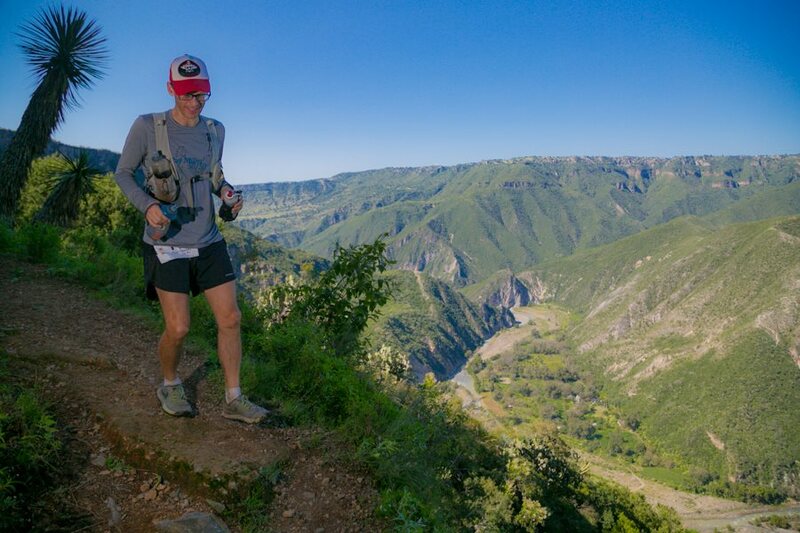 Standing on the rim of the canyon filled with doubts and nausea, I followed my own best piece of advice for finishing the UTMX 100k: get yourself down into the canyon, because then you’ve got no option but to get yourself back out. After that, you just need to get yourself back to town and the finish line. So simple. So inadequate. I began the long, technical descent which includes one of the most spectacular views of the race, second guessing my decision to fill my third bottle with coca-cola instead of more water. Just get down the river and the rest should take care itself. Prior to the race I had focused on the two steep climbs within the canyon, sort of neglecting the tricky descents that follow both climbs. I thought of the runner I saw descending Baden-Powell at this past August’s Angeles Crest 100: her knee looked like it had been split open by a hatchet wielding madman. Eventually she was airlifted out. As I tried to moderate my speed on the second descent, I saw plenty of spots that might create gaping wounds, but was unsure where the airlift might come from. The race did have several people --both race staff and locals from the pueblos in the canyon-- along this section of the course. Not falling in this section is key. There is a final river crossing in the canyon and then a pleasant jog on well-worn single track into the pueblo of San Sebastian. The sun was low in the sky. I remember feeling good, feeling at peace. My stomach had settled down. The coca cola bottle was the right choice and I hadn’t run out of water. I was feeling like maybe I could run up the endless road to the top of the canyon like I never do any year that I’ve done this race but always think that I will. Maybe I’ll share those memories with Wendy, Sue and Scotty next year when I try to talk them into the race again. My drop bag was in San Sebastian, kilometer 70. I had a fresh pair of socks and shoes. I didn’t put them on because it seemed like too much work for two hours of dry feet. I walked all the way up the road. I ran once or thrice for like 15 meters at a stretch. Just like I do every year even though I swear I’m running up that thing one of these years. Oh yes. I’m also going to have a really good section between kilometer 50 and 60 like I never have. I did finish well, as I’ve done every year. I love when the sun goes down and it’s night time. 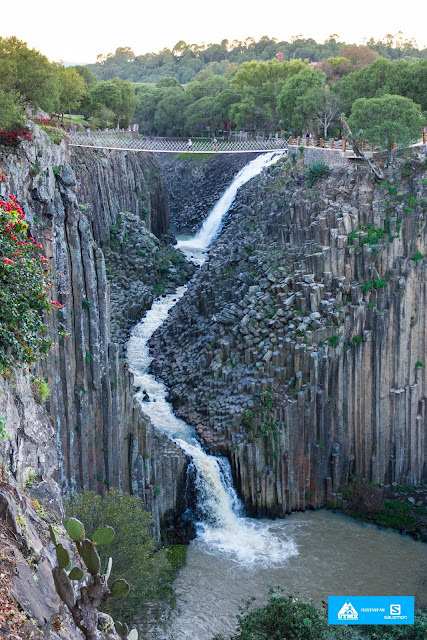 I love the river crossing at the bottom of Ahuacatitla. I love the crazy, lonely climb up from the river in the dark hobbit forest that just never seems to end and I have to sit down on a rock to look at the night sky which is really just a pretext to sit down because I’m utterly knackered and just need to rest for a spell, time goals be damned. I love finally coming up to the top of the climb and the local guy hired as a course marshall is sleeping beside a fire he built but I’m glad he doesn’t ask me why I’m doing this as I don’t have an answer. I love running through the final aid station just across from the Ex-Hacienda de Santa Maria or maybe some years just stopping for a swig of coke except for this year where I only imagined I just stopped for a swig of coke because in reality I sat myself down and ate some soup, stuffed some more gummy bears and worms in my Nathan pack --just in case, as I couldn't get GU down-- and drank some coke sitting there (too long), thinking: one more little climb, enter the Prismas Balsaticas, cross the bridge, head left out to the cobblestone road, and then across the swampy presa, try not to lose time looking for markers and then finally out to the road, and this year --straight into town-- head down, pushing hard, no chance of sub-18 but trying not to get caught from behind so late in the race (and I don’t!) and then there’s the town and I hear Lalo yell my name with his unique take on it’s pronunciation (Gooey!) and then I see Natalia, and Tina is running with me and jumping all over me. And then the finish line, and Scotty and Wendy are there and they don’t seem to hate me even though their races ended earlier than planned and I’ve spent a good portion of the past 18+ hours wondering if I completely misled them and maybe they're pissed and then I remember the whole race clearly from the beginning to end. Not just the 2017 race which I just finished 10 minutes faster than the previous year, but also the 2016, 2015 and 2014 races. And all the memories are perfect. And of course I’m coming back next year. Because I remember all the things I want to remember and all the suffering and nausea have faded into concepts which have no real feeling behind them and the next morning Natalia and I will eat barbacoa in the market and I’ll be reminded about how much I love this race, this place, these people. The sun had just come up on day two of the 30th Running of the Angeles Crest 100 Mile Endurance Run and I was sitting on Dead Man’s Bench at mile 80 with soon-to-be 4 time AC finisher John Vanderpot. I asked John if he had seen Jussi down at Chantry Flats, the aid station that was 3,000 feet and 5 miles below us. 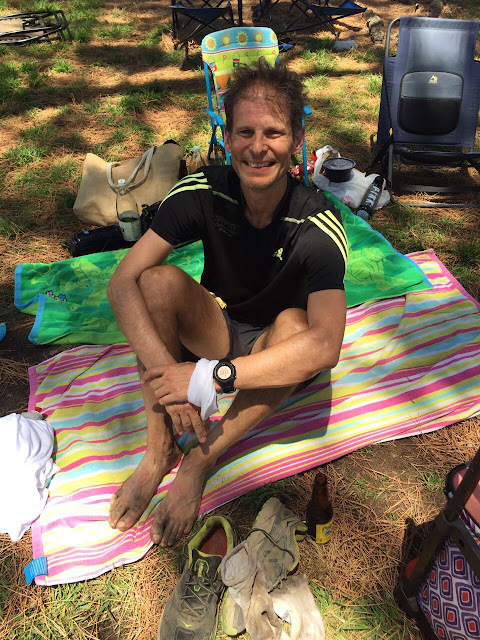 There are countless tales from the Angeles Crest 100, but Jussi Hamalainen's is perhaps the most amazing: he ran the inaugural Angeles Crest back in 1986 when he was 40, and and he kept coming back for the next 30 years. Sixteen of his runs are sub-24 (his last sub 24 was at age 60), and he has run sub-20 twice. In 2014, my first AC, Jussi notched his 27th finish, going over 30 hours for the first time ever. It appeared that Time could slow, but not stop Jussi from reaching 30 finishes. But then in 2015, the unthinkable happened when Jussi fell and was forced to end his race at Millard, the final aid station at mile 95. Jussi returned for the 2016 AC and walked it in hunched over, stopping repeatedly to retch onto West Palm Avenue. Vanderpot was at his side for that finish. Up on dead man's bench, John told me he had seen Jussi arrive at Chantry Flats, but he didn’t know when or if he had left the aid station. 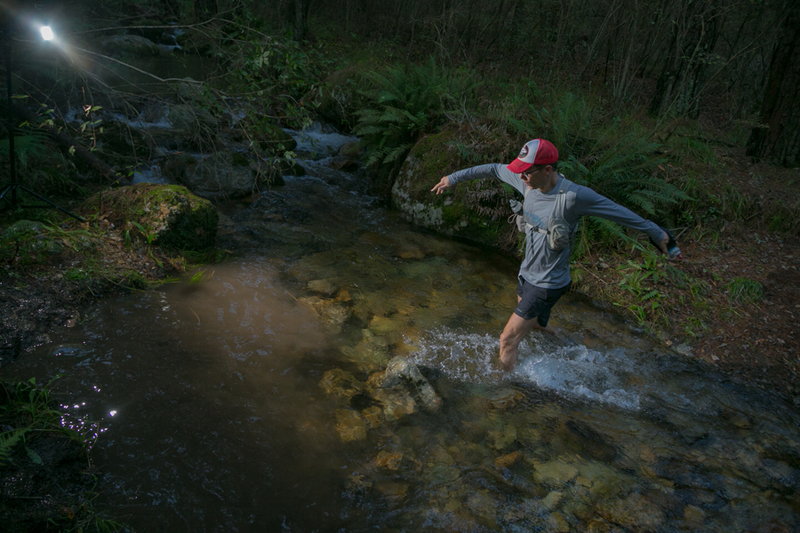 Lots of runners drop at Chantry Flats, but it was hard to imagine Jussi dropping anywhere. I imagined him stoically climbing Upper Winter Creek en route to finish 29. My own cushion against the cut offs had continued to shrink and I was worried. John was calm, in his element. He would go on for his fourth consecutive finish, all accomplished using what he calls “finisher’s pace.” John told me that his three AC finishes were between 32:21 and 32:29 and I asked him how we were doing and he replied “if you leave Sam Merrill by 10:15, you’ll finish the race.” He also mentioned that he usually leaves the bench by 6:00am. My watch read 6:23. This got me up off the bench, and I asked one more question as I headed up the ridge before the long downhill to the next aid station: What time to we need to be in Idlehour? 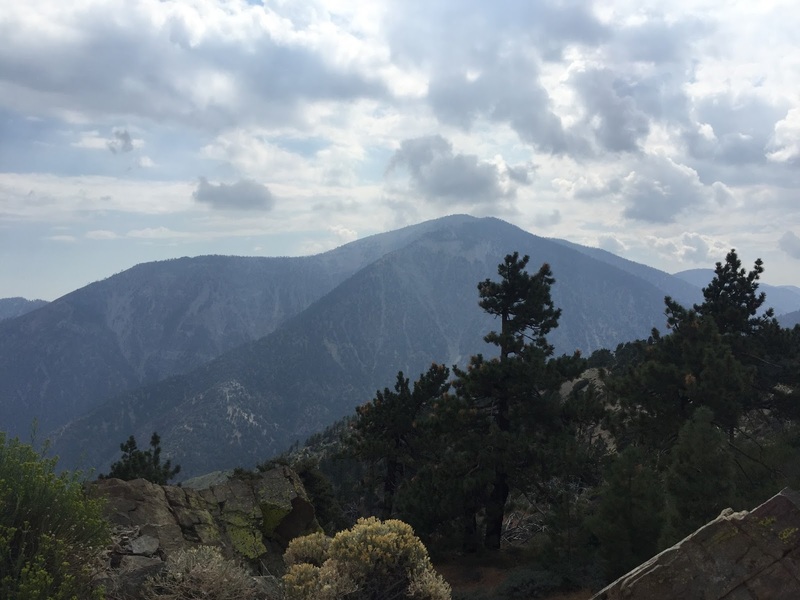 On Friday morning, Ken, Jeremy, Darrell and I rolled into Wrightwood, put our drop bags in the correct piles, and went to the Evergreen café to eat: I had the same dish I ate in 2014 before the race: potatoes and 3 eggs sunny side up. After breakfast we went to where we would be sleeping at Mark and Mary Ann’s house. Mark and Mary had three young girls between the ages of 3 and 6 running around, which provided a beautiful contrast to four nervous dudes unable to think or talk about much else besides a race which had been on our calendars for 365 days. The girls showed me their rabbit, their current hamster, and we visited the grave of their dead hamster in the far corner of their backyard. Ken: For Ken, it was his first 100 mile race. You wouldn’t know it by looking at him, as he is a tall string bean, but he used to be a big dude. Now he was an ultrarunner being coached by Angeles Crest Legend, Tommy Nielsen. He seemed to be nervously harboring some doubts: not unreasonable considering that AC routinely spits out about 50% of those that start the race. He had finished a 50k (2016 Mt. Disappointment and a 50 mile, the 2016 Sean O Brien). That was it. Darrell: Jeremy told me that Darrell was the fastest of the bunch, but he had gone out to Leadville last year for his first 100 mile attempt and ran himself into a hole chasing the 25 hour buckle. He was here to run smart, finish, and get that DNF monkey off his back. Jeremy: Jeremy was a sub-three hour marathoner who I cajoled into running the 2013 Ray Miller 50k which was scheduled the day before he had signed up to race the Surf-City Marathon. He finished Ray Miller an hour in front of me on half-marathon training, and he’s only gotten faster since. (We both stumbled through the Surf-City Half for respective slowest half marathon ever the following morning--not a recommended double.) His first AC yielded him a First Sunrise buckle, and he had gone out to Leadville in 2016 and was on sub-25 pace most of the day until his legs failed him and he finished in just over 25. He was here at the 30th running of Angeles Crest to run sub 24 and had done the training to do it. Me: In 2014 I had run the AC 100 as my first 100. It had gone beautifully, and despite the sleep monster visiting me on the climb up to Dead Man’s Bench on Winter Creek, I had a magical run between Chilao and Chantry, and managed to finish strong after Sam Merrill. 30:55. The dream for 2017 was sub-30 but I really just wanted a finish that was not too close to the cut offs. My only other 100 miler had been the 2015 Bighorn, which had just about done me in. I walked every step of the last five miles to finish in 33:10. At the finish I wrapped myself up in the finisher’s blanket and fell asleep. When I woke up I was filled with doubts about my ability to run 100 miles and I began to wonder if my 2014 AC finish had been a fluke. As I headed up the “Hal Winton Bypass” above the bench, I came across Naomi Ruiz. I had briefly been introduced to Naomi 25 hours earlier, and like most AC runners, I knew her story from 2016: she had fought the cut offs all day and finished the race, but her finish was not official as she had crossed the line 12 minutes after the 33:00 hour limit. She was back this year to get it done. She first passed me on the long moonlit downhill after Red Box. My legs were no longer cooperating on the downhills and I was shuffling down with my headlamp off to preserve my light when I needed it (left my only extra batteries back at Shortcut). She looked fantastic and strong at that point, which was a complete contrast to what I saw now: She was stumbling up the hill and her eyes looked vacant. I tried to encourage her that we had time and just needed to get down into Idlehour and then up to Sam Merril before 10:15. She responded something unintelligible that did not inspire hope. Had she given up? Was the finish that everyone wanted to see just a dream? As Larry Gassan might have said about Naomi’s dream, or Jussi’s dream, or anyone's AC dream—The Angeles Crest 100 just doesn’t care. In addition to not caring, the AC course doesn’t relent: many consider Chantry Flats, the 75 mile point to be the “halfway mark.” The final 25 miles contains two of the toughest climbs on the course, and, for those at the back of the pack who will be out there a second day: more heat for the final 11 or so miles and no significant shade or cover. And speak of the devil, there was Larry up on the ridge, a huge camo back pack filled with lights and camera gear, walking slowly up to where he left his car on top of Mt. Wilson. Larry first ran AC back in early 90's, including a sub-24 in '96. Up until 2015 he took black and white photos at the finish line, but then had a falling out with the Race Director and was asked to take his wares elsewhere. And so he now takes photos all night at Dead Man’s Bench. Sadly, I arrived after sunrise, so missed my photo. But of course, AC doesn’t care, so I ignored my uncooperative quad muscles and mustered some sort of run down into Idlehour. Vanderpot had arrived ahead of me, and he had taken off his jacket, and as I ran somewhat foolishly panicked through the aid station (I was worried about that 10:15 deadline), he commented “now this is an aid station!” I didn’t feel like I had the extra time to enjoy the ambience of Idlehour, so I filled up with coca-cola in one bottle and water in the other and prepared for the last long climb up to Sam Merrill. The day was beginning to heat up. On the climb up to Sam Merrill I caught up with Ken and his pacer and for a while we travelled together, but they slowly pulled away. When I finally arrived at the aid station there was no thought of just grabbing a coke and heading out as planned. I was hot and needed to sit down and regroup for the final push. The aid station still had ice, which seemed a small miracle. The final ten miles were all downhill and I struggled diligently to pretend I had legs to run. That mostly worked. Heading into Millard, Vanderpot caught up with me again, and we ran into the final aid station together. He sat down and began to chat with the volunteers and I kept moving. The final descent through El Prieto went surprisingly fast, and then I was on the pavement for the final miles. I looked at my watch and realized if I didn’t get lazy and walk I’d finish in just under 32 hours. And so I had a new goal and finished decently, relieved that my body was not a wreck as I knew that I would be flying in 10 hours and then heading directly to work. I saw John finish, coming in earlier than his scheduled 32:21-32:29. I started to drift off and then was woken by loud cheers and applause: Naomi Ruiz had rallied and was coming in for her finish that was a year in the making. Most of the crowd was on their feet. Ken had finished about 15 minutes before I did, and Darrell came in solid at 27:47. Jeremy missed the 24 hour buckle ( he remains two for two for the Second Sunrise buckle) with a 24:44 but still finished 13th overall, which gives some indication of the difficulty of this course. Neither Ken, Jeremy, Darrell or I signed up for the lottery for the 2018 race. Vanderpot will be there of course. Naomi was quoted as saying “two years is enough.” Jussi is a question mark. Word on the street is that when he turned in his bib at Chantry Flats he was saying a final goodbye to the Angeles Crest 100. But as every 100 miler knows, all of those clearly uttered “never agains” are rarely heeded. 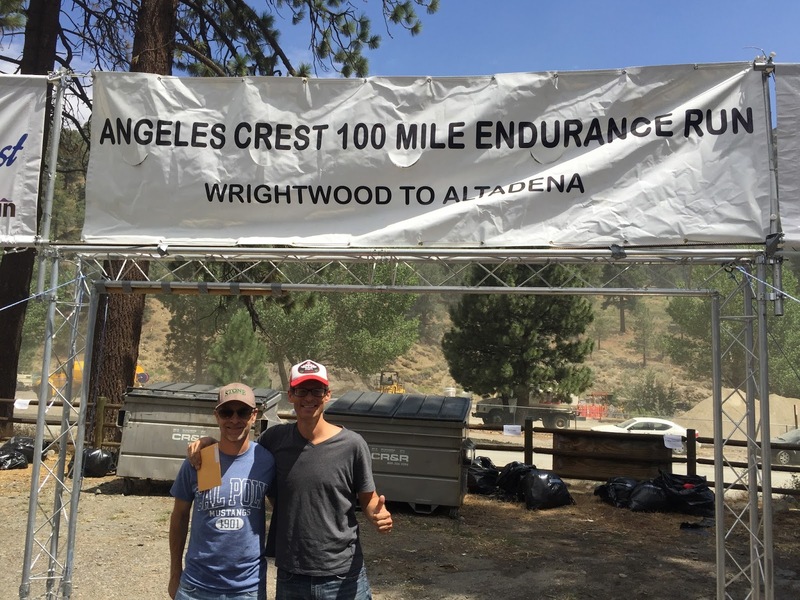 Despite its status as one of the original six 100 mile races in the U.S.A., the Angeles Crest has long flown under the national radar. That may change in 2018 as Jim Walmsely is on the list of starters. Will he make the start line? Who can predict, but if he does, one can only imagine that he will be chasing one of ultrarunning’s oldest records: Jim O’brien’s 17:35 set in 1989 (on a cool day in September on a significantly different course). Most would argue that the course has changed enough to make the comparison between 1989 and 2018 meaningless, and whether the 2018 course will be faster or slower than the original route that finished at the Rose Bowl is a question best answered by Dominic Grossman, a two time champ and six time finisher of the race (third this year) who lives on the course as it heads into the first climb. Larry is right, of course: AC doesn’t care. But fortunately many people do care deeply about this race, and for them, whether or not Jim makes it to the start in 2018 –and briefly thrusts the race into the spotlight-- is unimportant. Because of the work of the volunteers, the race organizers and the many folks who have made the race an important part of their lives, the AC 100 will continue to make and break dreams both big and small. Only a fool would make AC predictions a year in advance, but I feel confident with this one: John Vanderpot will finish the 2018 AC 100 under 32:29 for his 5th consecutive finish. While we were heading down into Millard at mile 95, John told me he’s going to run five and then call it a day for the Angeles Crest 100. I don’t believe that. He’ll be back for more, and, I hope, so will I.
I was all set to sign up for Trail Run Hidalgo's 50k in the barranca de Metzitlan and then I saw the date: 9 July. I wouldn't be in Mexico at this date, and I really wanted a longer effort about a month before the Angeles Crest 100 on August 5. 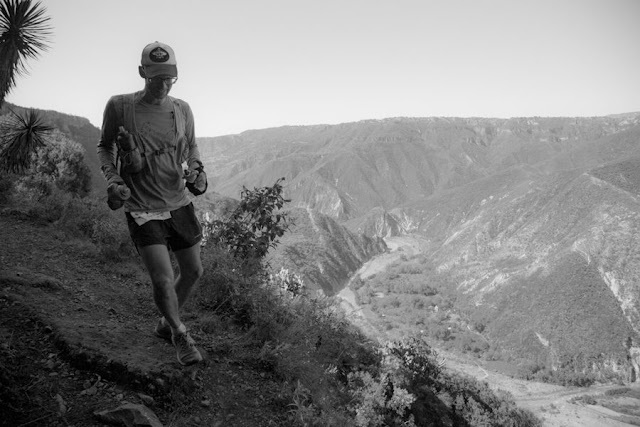 There were a few options: Villa del Carbon, Chico Night Race, Corral de Piedra and Taxco Skyrunning. Such is the state of trail running in Mexico right now. Too many races. 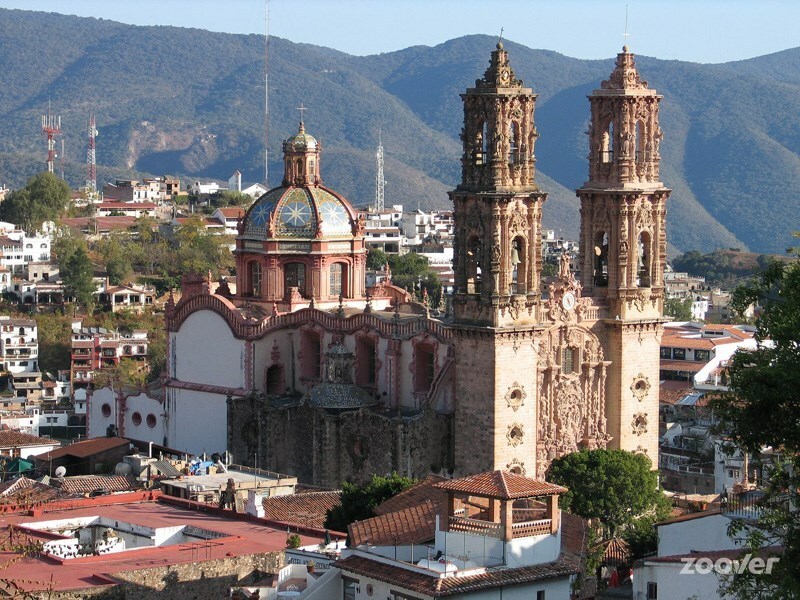 I chose Taxco because it looked to be a tough and beautiful course organized by Total Running. I don't really trust Total Running as a trail race organizer, as they seem focused on things like Color Runs and something called "Soul Pose" which I take to be some sort of Yoga in Neon Clothes Experience. However, Karina Karsolio had designed the course and she runs (and wins) many of the Trail Run Hidalgo races that are so well done. I trusted her to put together a tough route with lots of single track. Also, I hadn't been in Taxco in a decade, so why not go and run some new trails. Arrived at the hotel, which had Juan Gorman Mosaic by the pool, and it was a pretty spectacular place. At 8:00pm I went to the race meeting (which was packed!) and was ready to go. 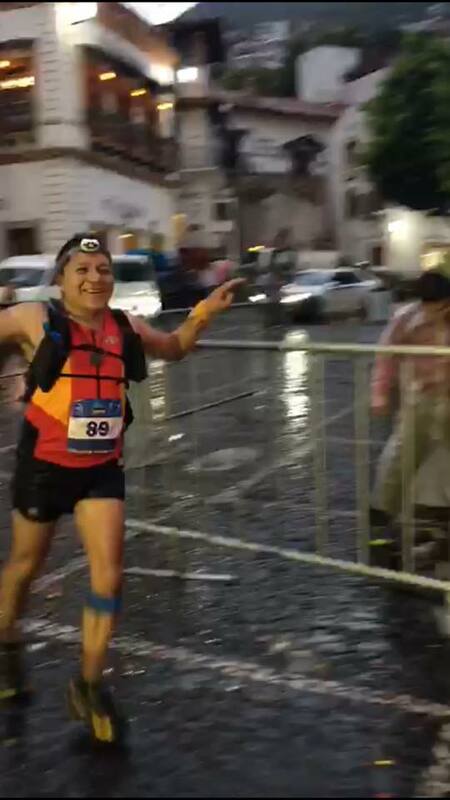 At 5:00 the next morning I arrived in the small center in front of the famous church in Taxco only to find out the race had been postponed for 30 minutes. There was also to be a gear check, and this was fine as I had everything: liter of water, whistle, emergency blanket, phone. Because of the phone requirement, I had to wear the Jurek Essential Waist belt as I haven't found a comfortable way to run with a phone stuffed in the pockets of my Patagonia Trail Shorts. I said hello to some fellow runners at the start, and I couldn't help but notice that every single runner was wearing a pack. Even Fernando Ortega was wearing a pack. Uh oh. Usually he runs (and wins) with no shirt and a small bottle of water straight from whatever OXXO is closest to the start line. Had I made a mistake? Did I not read the required gear list correctly? Was I underestimating the race? And then I heard the announcement being repeated that it was not acceptable to run with a handheld bottle, a pack was needed. This pissed me off, as 10 minutes before the race seemed a poor time to make this announcement. Also, I was carrying everything the race asked me to carry. I had a liter of water in my hands. Is that so different than having a liter of water on one's chest? Or having a liter of water in a bladder on one's back? Is the difference important? Do I have to wear neon if I want to be a part of Soul Pose? Another announcement was made that runners who didn't have the required gear would still be able to run but would be disqualified. 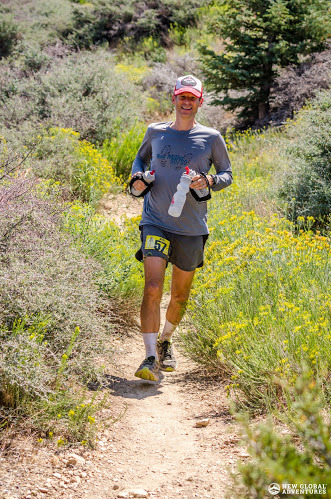 I was running to get a long run in to train for Angeles Crest 100, so disqualification wasn't really a concern as long as I wouldn't be pulled from the race. I entered the start area and passed the gear check using my Obi Wan Kenobi "these aren't the droids you are looking for" Jedi mind trick. And then the race was off, straight up hill. Steps were so steep at one point that a ladder would have been more efficient. 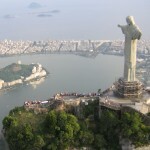 We arrived at the Jesus Statue and were finally on trail. At some point the hill leveled out and suddenly there were no flags. Crap, I'd missed a turn. Retraced my steps with a group of runners and we saw where the course had made a 90 degree right turn. And then suddenly we were heading down. This downhill section was very well marked, but it didn't make sense to me, as I couldn't see on the course profile where the course went down before reaching the antennas. I could see the antennas up above in the distance and thought the course should be going up, not down. But we kept going down. I stopped with another runner who had the course on her phone and it showed we were off course, but we kept going down and finally the trail turned to the left towards the antennas. Relieved to know that I was on the correct trail, I began searching for a hidden area to relieve another pressing issue: my bowels. Damn: I was only 10 minutes before the cut off. I sort of forgot this next section, but I remember clearly that I arrived at a very crowded aid station with runners in line, jostling for position to get water. And then I looked at my watch. Shockingly, I was right at the cut off time. How could that be?? However, I wasn't too concerned as the aid station "workers" were standing around with their arms crossed watching people crowd around the water jugs. I figured if they couldn't get it together enough to get runners their water, they wouldn't be enforcing cut offs. I went around the table and found a mostly empty garafon and put that water in one of my bottles. The other bottle I filled with coca cola. I took a couple chips of watermelon out of a giant bowl and was off. I was determined to make up some time on the cut offs. And then I was running up a hill and saw a bunch of runners who were wearing 60k bibs coming down.... Which was weird because the hill was clearly marked. Maybe it was marked for another race? We went down together and found the turn we had missed. And back out on a road with no trail marks. At this point, Erik Aguilar, who was running the 30k said hello. It was great to see Erik out on the trail, but was sorry to see that he was also lost. I spotted an orange mark on a tree and then another on a stone, but then there was nothing else. We returned and someone was yelling something about a flag. We had found the trail again and we were off! Somewhere in there was a long, technical descent with an awesome view of a waterfall. I wanted to dig out my camera but had the nagging feeling that snapping photos while chasing cut offs was not an optimal plan. The descent ended on a road, and I was feeling good having passed some folks on the descent. I crossed the road and there was a gate that was closed leading to a dirt road. There was no aid station, but there was an ambulance and a woman standing in front of the gate. She told me it was after 11:30 and I could not continue. I was in shock. It was 11:33. I felt fantastic. How could my race be over. I explained --politely-- about the time I had been lost. I asked if I could speak to the race director. I tried the Jedi Mind Trick. The Jedi Mind trick failed me. 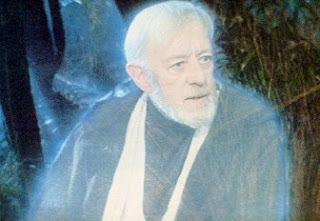 Obi Wan, Why hast thou forsaken me? A handful of other runners showed up at this point. Finally, she said we could continue without our numbers "under our own risk." This phrase seemed ridiculous to me, as we always run under our own risk: number or no number, race or no race. I ripped off my number and handed it to her, as did another runner. We made an unspoken agreement to run together. 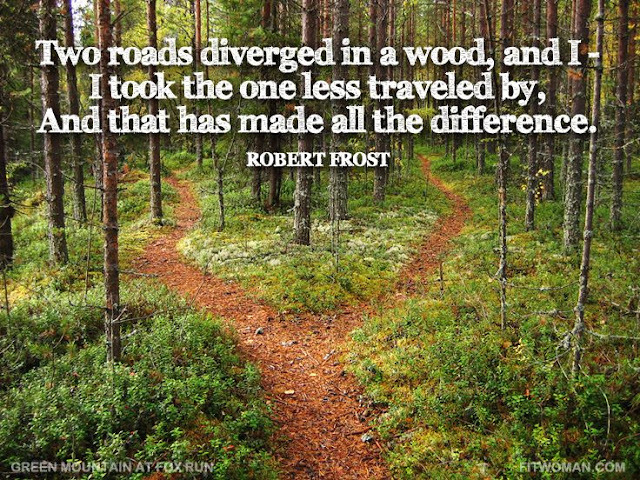 And that's what we did, until we came to a fork in the road...with no marks in either direction. Again, really? Did I blow by another turn. Would I ever learn? "Obviously, you're not a golfer"
So I headed back down the road, retracing my steps to the last mark we saw. I found the mark. We hadn't missed a turn. The marks just ended. And then I looked up and four runners were heading my way. Perhaps they had decided to continue "under their own risk." Yet they all had their numbers on. I asked them how they kept their numbers, and didn't quite catch the answer. I told them there were no marks, and one of the guys said he had the course on his phone. I followed. The next section of course was unmarked, but fortunately as we were passing a campesino's field, one of the campesinos called us back and told us to go down a singletrack. And sure enough there was one ribbon marking this turn. At this point the course was marked again, so we ran together. My watch was marking 34 kilometers so I started to worry about where the hell the 31 kilometer aid station was. My coca cola was gone and I was low on water. Would there be an aid station? At 35k, we crossed another road, tore into the aid station and were promptly told we were twenty minutes after the cut off. Karina was there, along with the aid station workers. I really didn't understand the cut off. I had run the first half conservatively and was ready to roll. I had 8 hours to finish, there was time. Again, I was told I could continue "abajo mi propio riesgo" but I was concerned about the course marking and told they would begin taking flags down. I threw in the towel and got a ride back to Taxco. One runner in our group decided to continue unofficially. 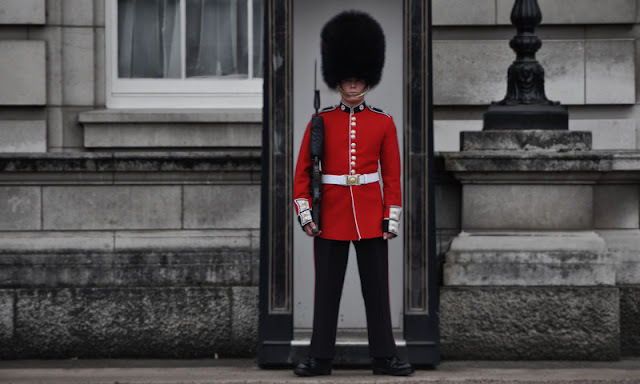 Selfie I took of myself after getting cut off at kilometer 35. I've been reading some commentary about the race this morning and it's very tempting to blame my DNF on the race. That's a dangerous temptation to succumb to, however. 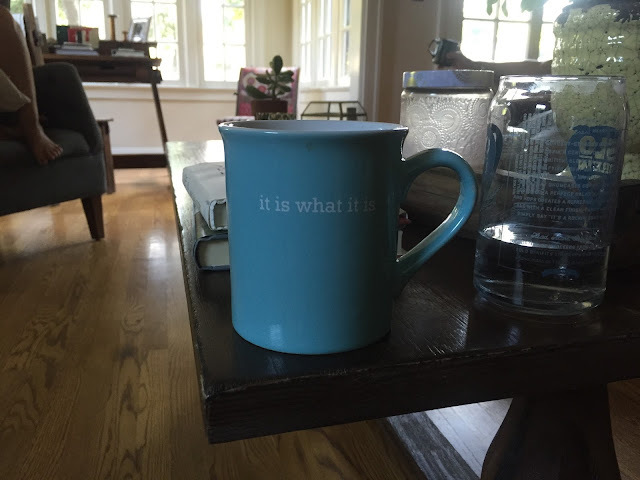 If I start blaming external circumstances instead of focusing on what I could change, I lose sight of the most important factor in finishing a race: what I can control. Ultramarathons present thousands of excuses not to finish. The trick is ignore these. I failed to ignore those excuses, but I can learn from them. At the top of the first climb, when I realized how close I was shaving the cut offs, I should have readjusted my race strategy, and picked up the pace. 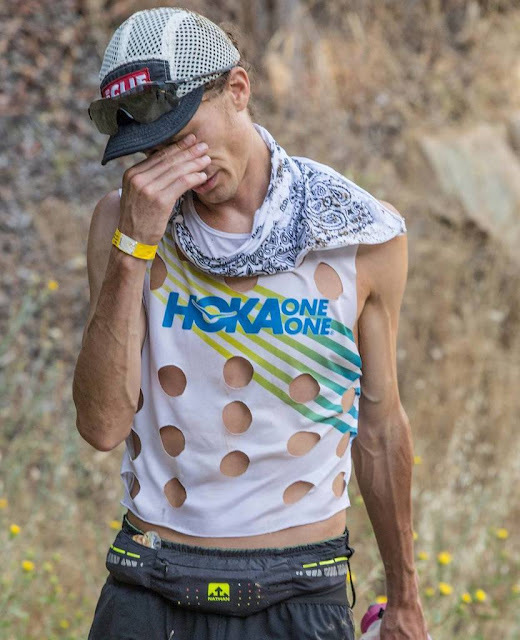 Yeah, it's important to go slow in the first half of a long ultra, but not if it means missing the cutoffs. Also, I can't assume the cut offs won't be enforced. That was stupid. A mistake I won't make again. After missing two turns (turns that were marked....I didn't see the marks) I should have run more carefully. I did do a bit of this, as I was able to redirect two runners who were heading off course back onto course. I need to run more aware, especially trails I don't know. I've been living in Mexico City for five years. Surrounded by mountains, it's not a bad place to run.